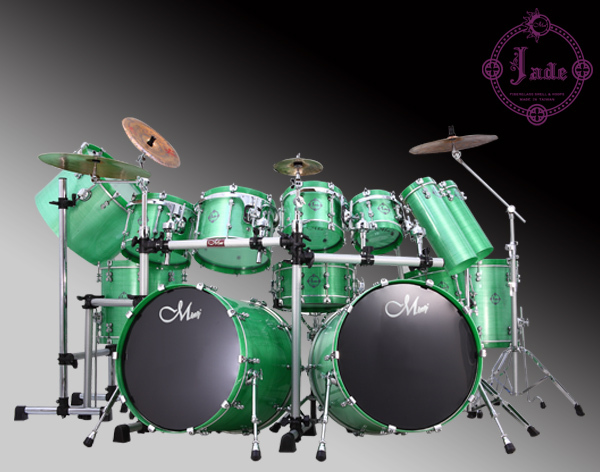 Originated from the unique hue of fiberglass within our exclusive dyeing technique, the Jade series has an elegant appearance to match up to its name. In order to have perfect resonance and color, we manufacture the shell and hoop by long-fiber wounded process to improve the unity. The application of claw hook makes the tone punchier and the playing smoothly wonderful. The designed degree of hoop edge prevents damage to drumsticks from hard rim shot, and the scratches to drumheads from tightening the hoop. The flexibility of fiberglass can also balance the pressure of the drumhead during tuning. You will be amazed by the performance of Jade series from exterior to interior. Copyright © 2010 Ming Drum All Rights Reserved.